If there is anything that can be said to be a truly universal thing within the human experience; it is that everybody poops. 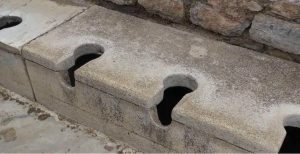 The history of toilets goes back thousands of years. 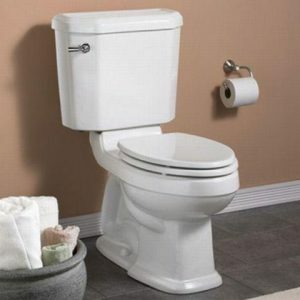 Chamber pots, latrines, commodes, garderobes, outhouses, earth closets, and water closets are all some form of toilets. However, the truly flushable toilet with a “Flushometer” was invented in 1906. Before that, toilets pretty much relied on gravity. Now we can have the convenience of pooping inside the house without the smell ruining the home. Our lives are much better because of toilets. If you are thinking of remodeling your bathroom, you should devote some time to thinking about your toilet options. 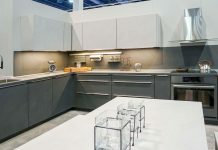 It may not be the most glamorous part of your remodel but it is an important part. Decide if you want a two part toilet or a one part toilet. Two part toilets are more common. On these toilets the base is the bowl and the flush tank is a separate attachable part. These two part toilets are easier to install on a second floor if you have to carry it up a flight of stairs. They also cost considerably less. The one part toilets come in some fancy modern designs that can really help your bathroom look sharp. The price for one part toilets is higher but you will not have to worry about cleaning the crease where the two parts meet. 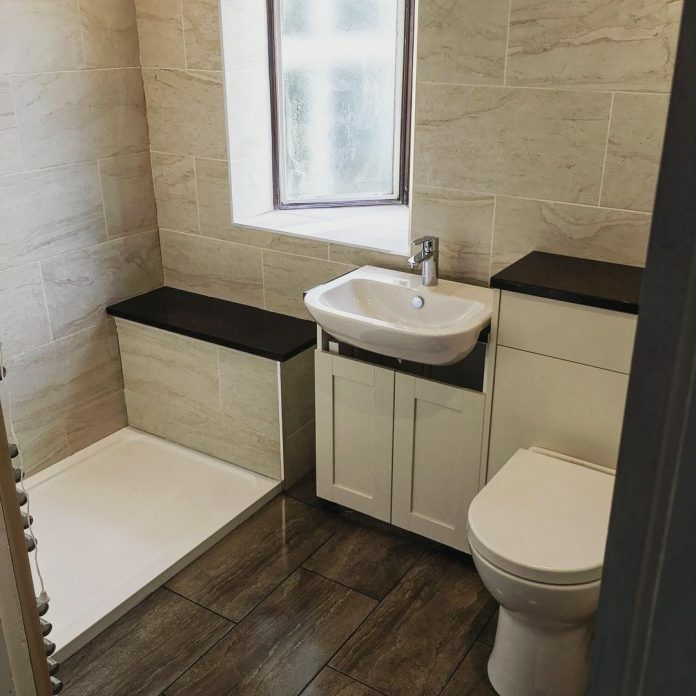 One part toilets do come in very traditional looks in case you want one but do not want a bathroom with a modern look. Another basic decision you should think about is whether or not you want to spring for a pressure assisted toilet. Naturally Pressure assisted toilets will cost more but flush better, it’s a trade-off. Some people my age or older may recall the “Married with Children” episode where Al Bundy gets his beloved Ferguson toilet that he claims has a “manly flush.” It’s hard to say what toilet would be the real world equivalent of the Ferguson, but American Standard makes the Champion 4, which can flush 18 golf balls in one flush! I have always wanted a good pressure assisted toilet. Maybe someday I will. Seat height is another thing you might want to consider. Standard toilet seat height is 17 inches. They do make 19 inch toilets for the comfort of tall people. These 19 inch toilets are said to be easier for elderly people to use. My mother is always complaining that when she sits in chairs her feet do not touch the ground. I wouldn’t be surprised if she and others who experience the same problem would spring for a special 15 inch toilet. In this age of high tech devices, we are fortunate enough to have toilets that will flush with the push of a button. Naturally the presence of these buttons and the lack of traditional flush handle will give these toilets a modern look and feel so if you make that choice be sure it won’t clash with the rest of your bathroom. As with most good things, the push button toilets cost more but many of them offer a great feature of multiple flush modes. This means that if you poop or need to dispose of a deceased goldfish you hit the button for a full power flush. In the event that you only urinate, you can hit the half button that will flush with only a fraction of the water. This is particularly important in California where we have been facing a terrible drought. Over time this half flush feature will save you money. In wall toilets are toilets that protrude from the bathroom wall. The tank is not visible. These toilets have always reminded me of the space saving toilets you would find on a yacht or space ship. (In a good way) The look of these toilets will obviously make an impact on the look and feel of your bathroom. If you want to get an in wall toilet be sure to check the plumbing in the wall to see if there are any obstructions. Before toilets could really harness the power of the pressure in modern water systems they had tanks mounted high up on the wall. This design utilized gravity to provide adequate pressure to flush. You can buy modern toilets today that have a high-tank design. 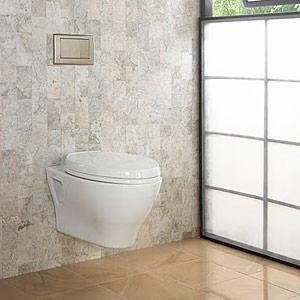 Unlike push button toilets and in wall toilets, high-tank toilets are very well suited for older traditional bathrooms. The toilets give off an old timey feel. 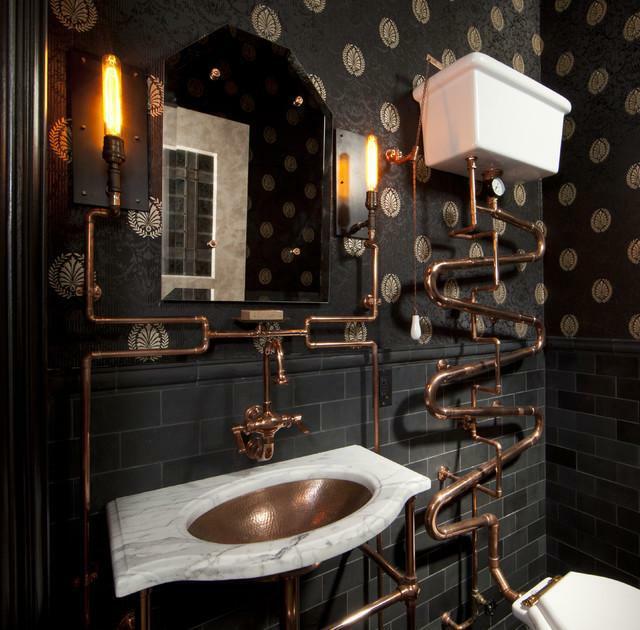 The exposed plumbing found on many high-tank toilets would probably be a sought after look for anyone designing a steampunk bathroom. 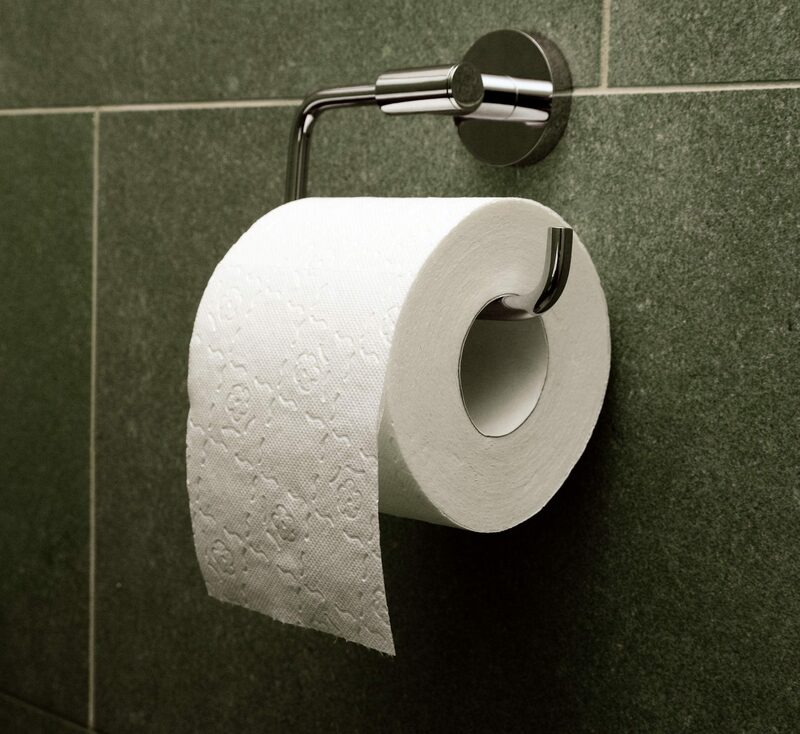 The vast majority of toilets are white, but there are other options for you to choose from. If you have other porcelain fixtures in your bathroom and you are worried about mismatched porcelain, you can go for a white toilet with black seat and tank top. 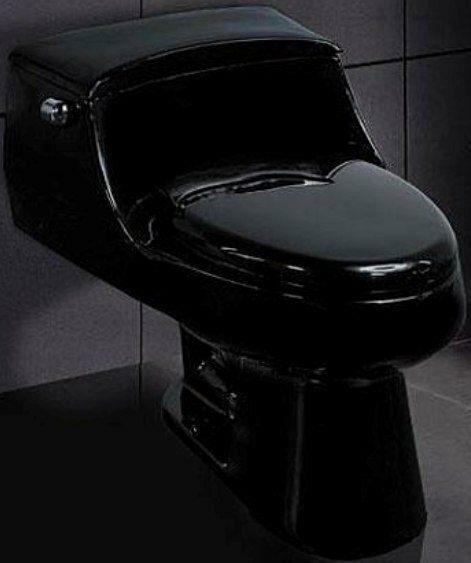 If you desire to be different you can go for a more exotic toilet color. Be careful about going too crazy with the color of your toilet. 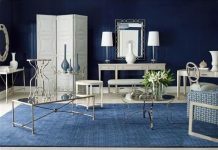 If you ever sell the house the buyers may not love the colors like you do. The toilet has two porcelain cousins that are absent from most American household bathrooms. 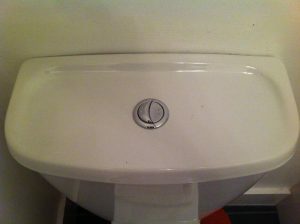 The bidet is a low sink toilet hybrid that is used to rinse and clean the nether regions after defecating. The movie Crocodile Dundee has an endearing scene where the titular character discovers what a bidet is used for. Because of the free space and expendable income required to install a bidet, they are seen as luxury items. The urinal is seen in almost every public men’s bathroom but they are not often seen in household bathrooms. Like the bidet, installing a urinal would require space and money. Unlike public restrooms, at home most people use toilets alone, so having a urinal at home would only serve as an expensive convenience to the men of the house. 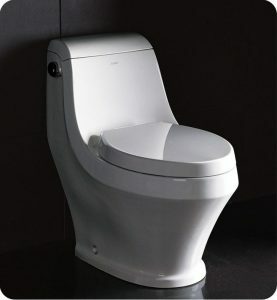 For many years now, Japanese companies have sold bidet toilet hybrids. These high tech inventions work as a toilet with mechanical bidet features. The trend is just starting to gain traction in America. A company called Warmzone makes a bidet toilet that warms the toilet seat to your desired temperature, and automatically raises and lowers the seat and lid, and all that is aside from the normal bidet functions. Understandably, all of these bidet toilet hybrids are on the expensive side. 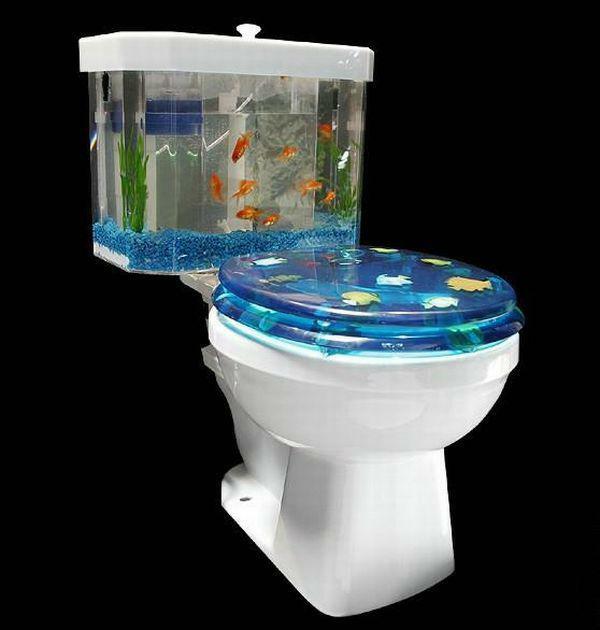 One company made a cool toilet aquarium hybrid that could have been great for some water themed bathrooms. The “Fish N’Flush” toilet had a lot of potential but sadly there was little interest in them. Hopefully someday someone will make another. A company called Villeroy & Boch seems to have made a hidden toilet that is built into a bench. You lift the seat of the bench to find the toilet hidden inside. At first I did not see much of a purpose for this but after seeing the picture I thought you could really make a classy looking bathroom with it. Don’t make the mistake of overlooking or under thinking the toilet options when you remodel your bathroom. The toilet is a very important aspect of the bathroom. Be sure that you know what you want.